Previews of the contemporary music festival Tempered, NI Opera's production of Così fan tutte, and Belfast Philharmonic Choir's opening-season concert. John previews the contemporary music festival Tempered, featuring interviews with Moving On Music's Brian Carson, Yurodny's Nick Roth, Hard Rain Soloist Ensemble's Greg Caffrey, and Chamber Choir Ireland's Sarah Ledwidge. John drops in on rehearsals for NI Opera's production of Cosi fan tutte, and hears about the Belfast Philharmonic Choir's opening season concert. 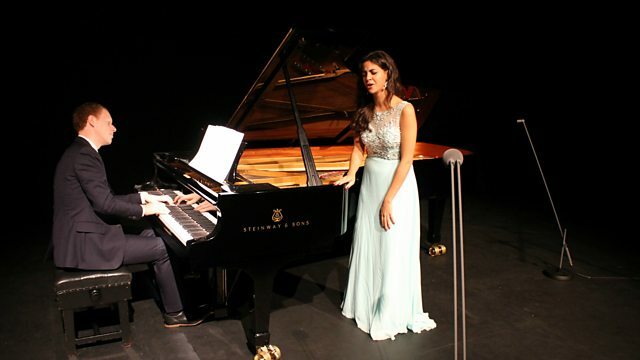 There's music recorded as part of the Belfast International Arts Festival featuring tenor Robin Tritschler, soprano Fatma Said, mezzo Sophie Rennert, and pianist Joseph Middleton. On the anniversary of the first performance of Don Giovanni, John's classical connection is on Mozart operas. Performer: Barry Tuckwell. Performer: London Symphony Orchestra. Performer: Peter Maag. Performer: Philippe Quint. Performer: Dimitry Cogan. Performer: Christine Rice. Performer: Miah Persson. Performer: Bryn Terfel. Performer: Scottish Chamber Orchestra. Performer: Sir Charles Mackerras. Performer: Robin Tritschler. Performer: Joseph Middleton. Performer: Fatma Said. Performer: Joseph Middleton. Performer: Joseph Middleton. Singer: Sophie Rennert. Performer: King's College Choir of Cambridge. Performer: Philip Ledger. Performer: London Philharmonic Chorus. Performer: Adiemus Orchestra of Europe. Performer: Jonas Kaufmann. Performer: Bavarian State Orchestra. Performer: Bertrand de Billy.